FRANKFURT – For the first time since its establishment in 1984, Canadian circus arts and street entertainment company Cirque du Soleil will perform in Israel from August 8 to 18 with its fascinating show "Alegria". Tickets for the Tel Aviv performance can be purchased on the new Ynetshows website for NIS 220-360 (about $60-95). 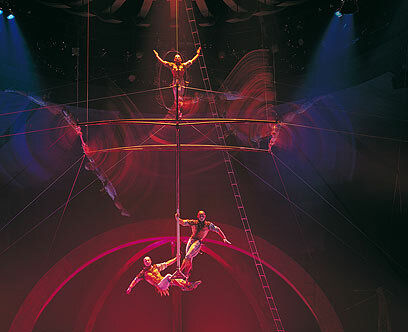 Cirque du Soleil ("Circus of the Sun" in French) was founded in Baie-Saint-Paul in 1984 by two former street performers, Guy Laliberté and Daniel Gauthier. Since then, it has become the most popular representative of the "contemporary circus" – a genre of performing art in which a story or a theme is conveyed through traditional circus skills. Israeli producer Shuki Weiss, together with international producer Mark Liberberg, said it took a long time to bring the show to Israel. The talks included repeated inquiries aimed at guaranteeing that the show would be technically staged in Israel the way it has been viewed by more than 10 million people across the world. The Cirque du Soleil "contemporary circus" makes no use of animals and all its acrobatic segments combine traditional acrobatics and clowning with modern elements. 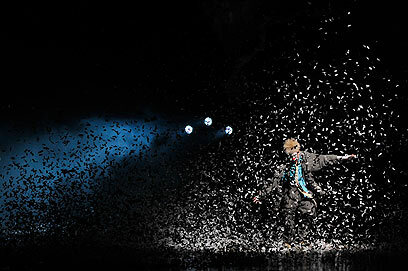 "Alegria", created in 1994 and directed by Franco Dragone and Guy Laliberté, presents Cirque du Soleil's fascinating interpretation of the battle between classes and generations. It includes breathtaking acrobatic segments through sensational choreography within a bizarre and very impressive world of fantasy, with 55 actor wearing more than 400 costumes. See all talkbacks "Cirque du Soleil coming to Israel"